Barbara M. Fair is a graduate of New York University School of Law and a member of the New York State Bar. Ms. Fair was First Deputy Counsel for the New York State Division of Housing and Community Renewal (DHCR) for ten years and served as Acting General Counsel. Ms. Fair was also the agency’s Ethics Officer for many years. Ms. Fair’s administrative and policy initiatives included initiating, in concert with the NYS Office of the Aging, a comprehensive program to assist elderly tenants in accessing community support services after retiring from state service. Ms. Fair worked three years for the Greystone Corporation surveying the physical condition and building code compliance of multi-family projects, state-wide. Ms. Fair is an on-call Disaster Assistance Employee for the Department of Homeland Security Federal Emergency Management Agency. 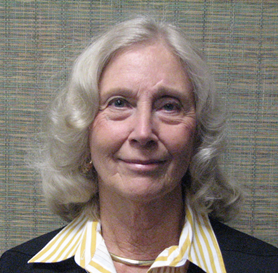 A permanent resident of Southampton since 1995, Ms. Fair has committed substantial time to community service. She is currently a board member of the Town of Southampton Housing Authority, the president of the North Sea Community Association, a member and past secretary of the North Sea Citizens Advisory Council, and participates in the Suffolk County Bar Association’s foreclosure program representing homeowners.